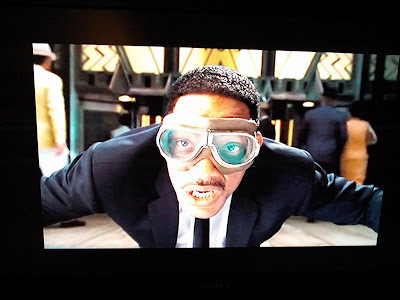 Back on October 27th, I wrote a blog post telling everyone about how "Men in Black 3," staring Will Smith, is scheduled to be released on DVD on this Friday, November 30, 2012, but I knew a way to see MIB3 in the comfort of our homes before the actual DVD release date. 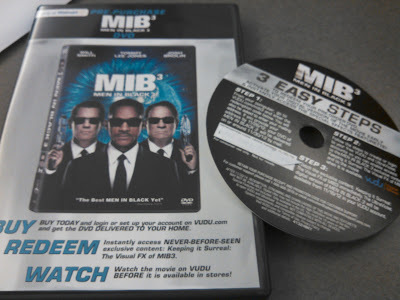 Back in October, I went to my local Walmart store to pre-purchase the MIB3 DVD box (see photo above) for the same price I would have paid if I had bought the DVD on the release date. This pre-purchase option came with a FREE Vudu digital version of the movie that was available to stream online starting on November 16th. I will also get a hard copy DVD of the movie mailed to me on November 30th. This MIB3 pre-purchase option is available only at Walmart stores. Another benefit of using Vudu is that you get a FREE movie credit when you signup. 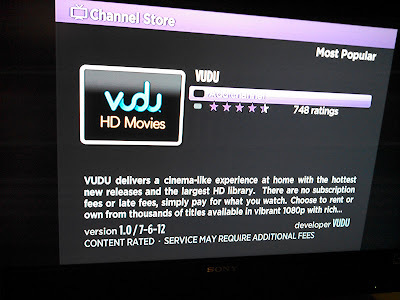 Since I use my Roku device for streaming movies to my TV, I added the Vudu channel to my device lineup and then my son and I were all set to watch the movie. 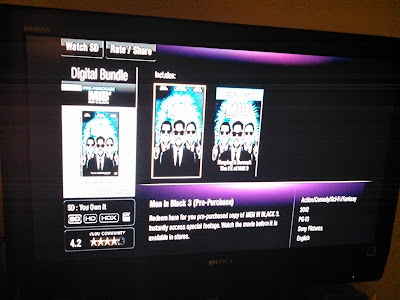 Using the Vudu channel on my Roku, I navigated to the "My Movies" section which list the movies that I own and clicked on the "MIB3 Digital Bundle" selection as shown in the photo above. The screen gave me two options - one to watch the movie and the other to watch the special footage features that go behind the scenes for the making of the movie. 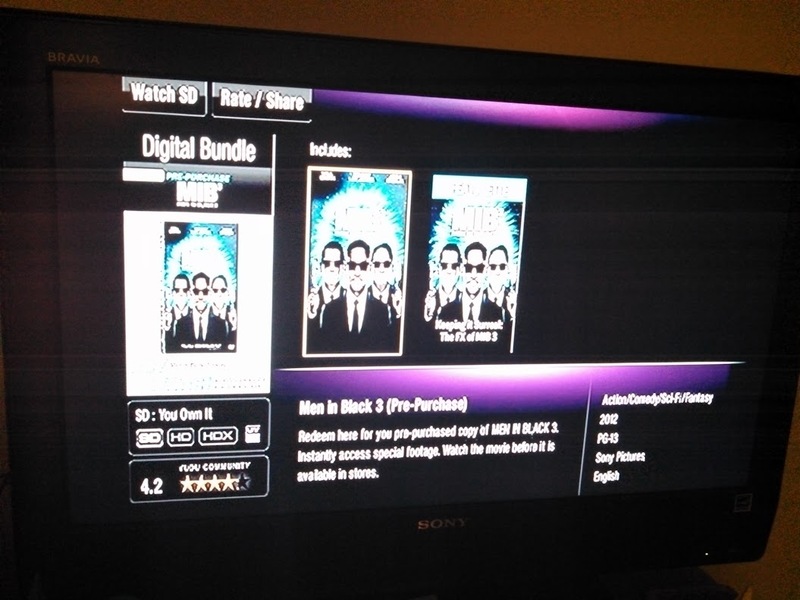 Just a note that since I own MIB3 on Vudu, I can stream the movie anytime I want, as many times as I want - this is not a rental. So if my son wants to take the DVD of the movie with him to my sister's house or to camp, I can still watch the movie using Vudu when ever I want. Guess who dressed up as "Agent J" for our special movie viewing? My son totally got into the spirit of the evening my dressing up to do his best impersonation of Will Smith's character "J" - cute, isn't he??? We had prepared for the screening by renting the first two movies so we would be all set for MIB3. The movie streaming on Vudu.com was wonderful - it looked just like I was watching the movie on DVD. 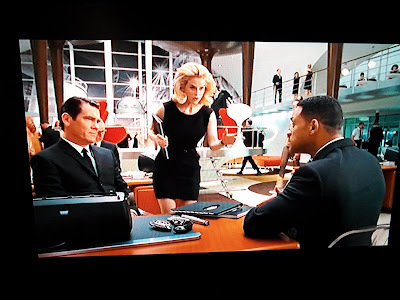 MIB3 takes place 14 years after the first movie. Now, Agent J (played by Will Smith) and Agent K (played by Tommy Lee Jones) are getting on each other's last nerves as partners. Agent K never seems to be happy and Agent J cannot figure out what's wrong with his partner. As the Men in Black are going through their relationship issues, somewhere is outer space, the villain Boris The Animal (played by Jemaine Clement) has concocted an evil plan to break out of his maximum security prison on the moon that was constructed just to hold his supreme evilness. Now that he is free, he is coming to earth to get vengeance on the one man that sent him to jail - Agent K. He plans to turn back time to 1969 when he was captured to make sure things go his way this time - and Agent K senses that something is not right which is way he has been acting so strange. 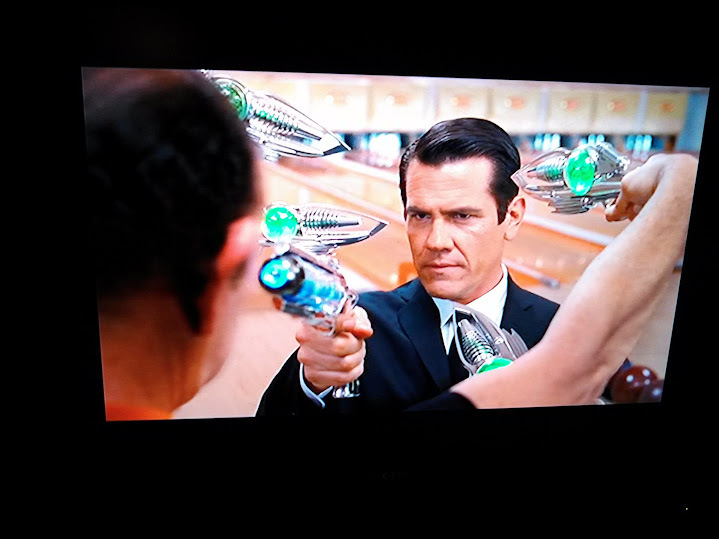 When Agent K is sucked back into time, Agent J must follow him back to 1969 to work with a young Agent K (played by Josh Brolin) to save his partner's life - and also find out a secret that Agent K has kept from him for 14 years. 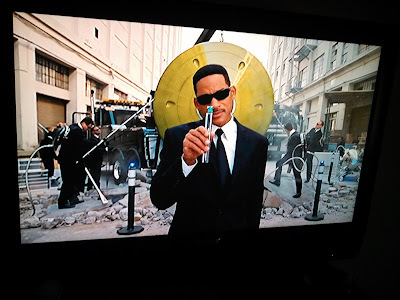 MIB3 ties up a lot of loose ends from the first two movies while giving the viewer some of the best movie visual effects ever seen. I don't think this was the best of the three MIB movies. It is hard for actors to go back and reprise roles after so many years have passed since the last movie. There are moments in the movie that are so silly they made me burst out laughing. And the end actually brought a tear to my eye. 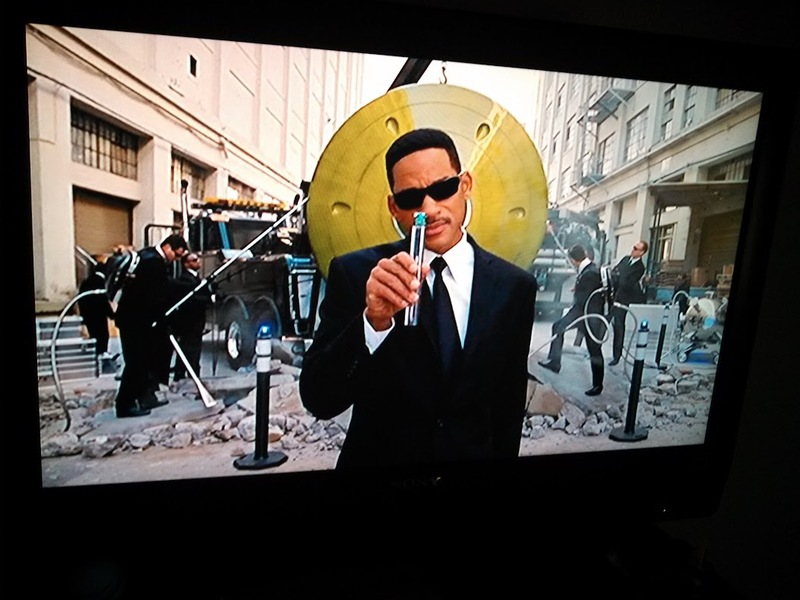 The way MIB3 is setup, it is obvious that this will be the final journey for Agents K and J and a 15 year movie franchise that made a lot of people's day. For more information on MIB3 follow MIB3 on Twitter and MIB3 on Facebook. Click here to view my MIB3 shopping trip to Walmart on my Google+ page. I am a member of the Collective Bias® Social Fabric® Community. This shop has been compensated as part of a social shopper insights study for Collective Bias™ and Sony #CBias #SocialFabric - All opinions are my own.